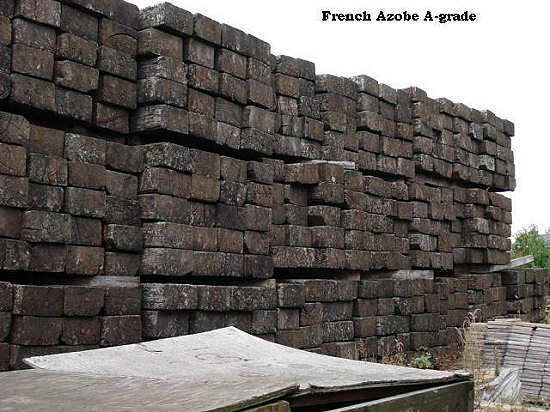 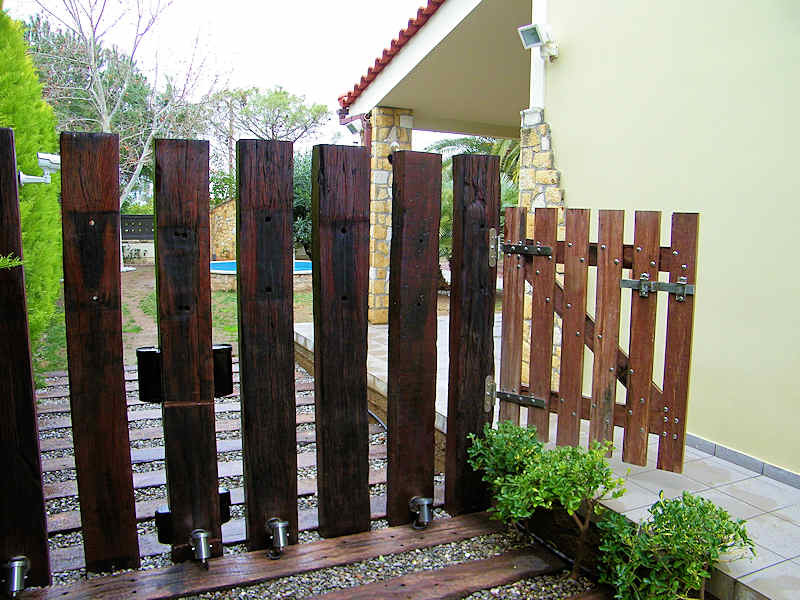 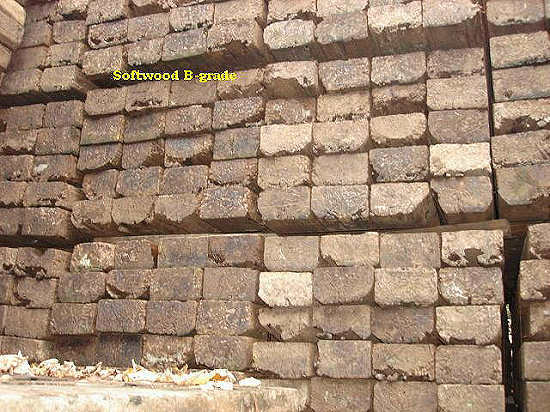 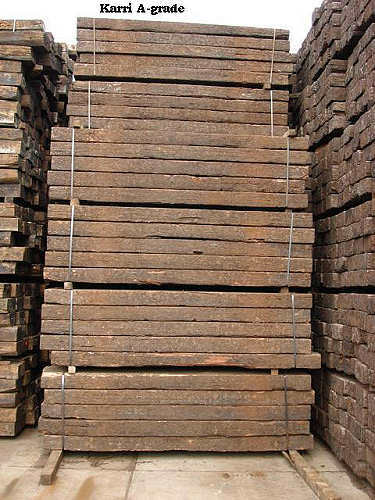 Wooden railway sleepers have been used for centuries for railway lines to fasten to.Today their popularity is increasingly with landscapers, builders & furniture makers. 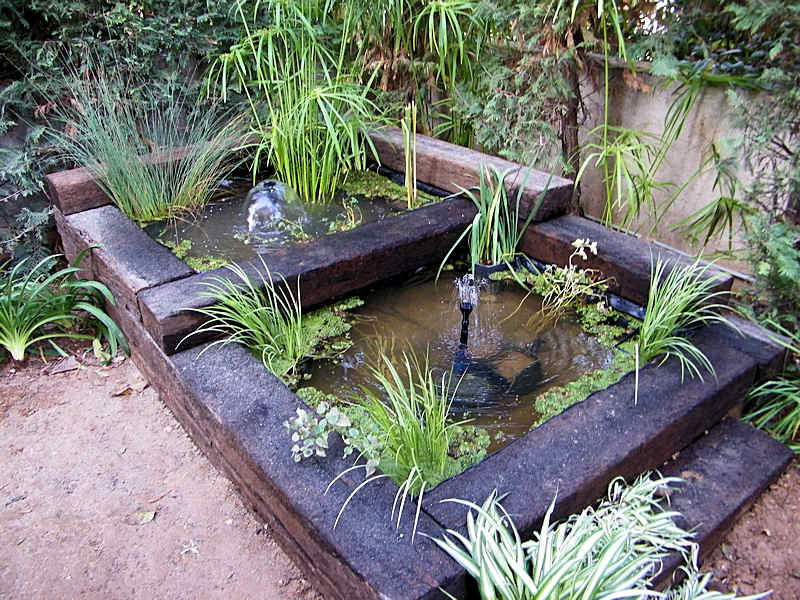 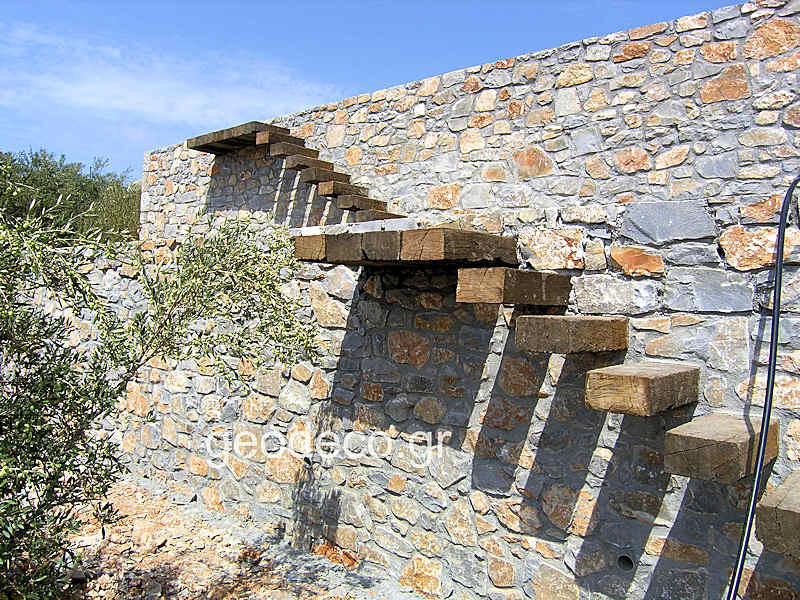 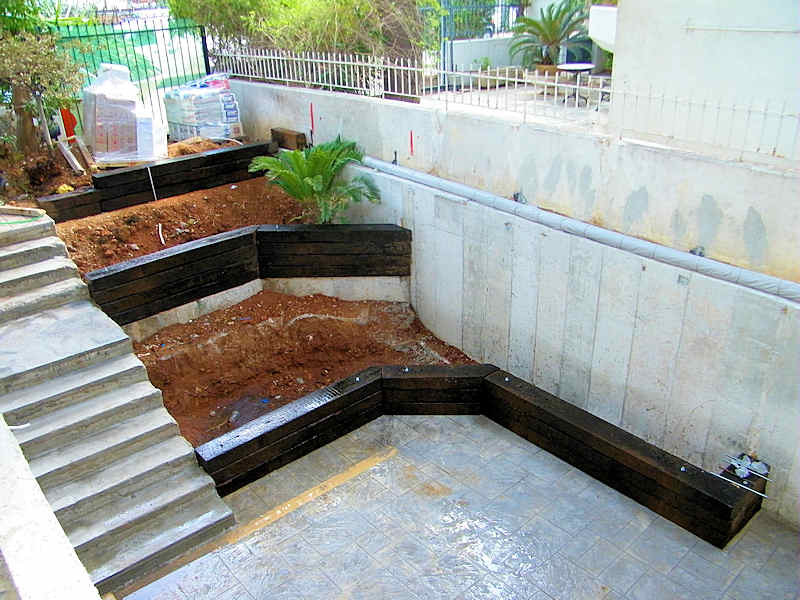 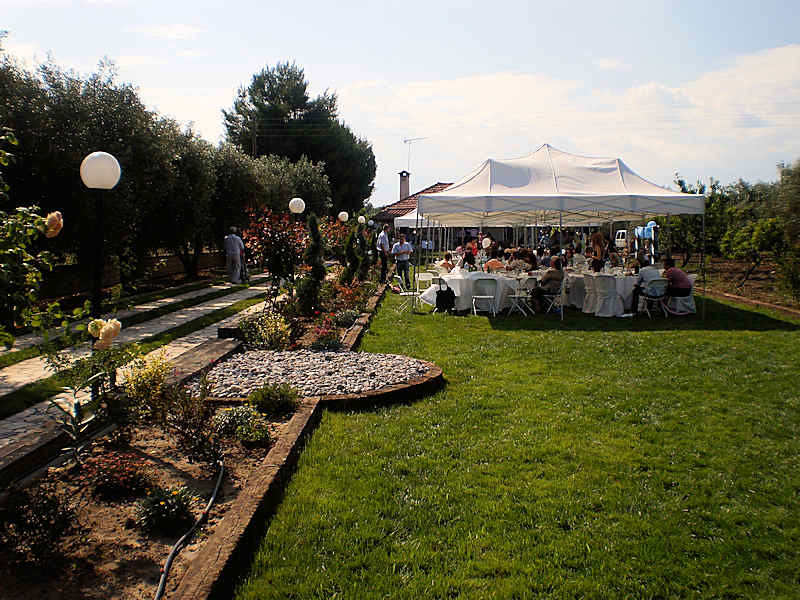 Their use today varies from building garden stairs , garden ponds, garden pathways till making furniture. 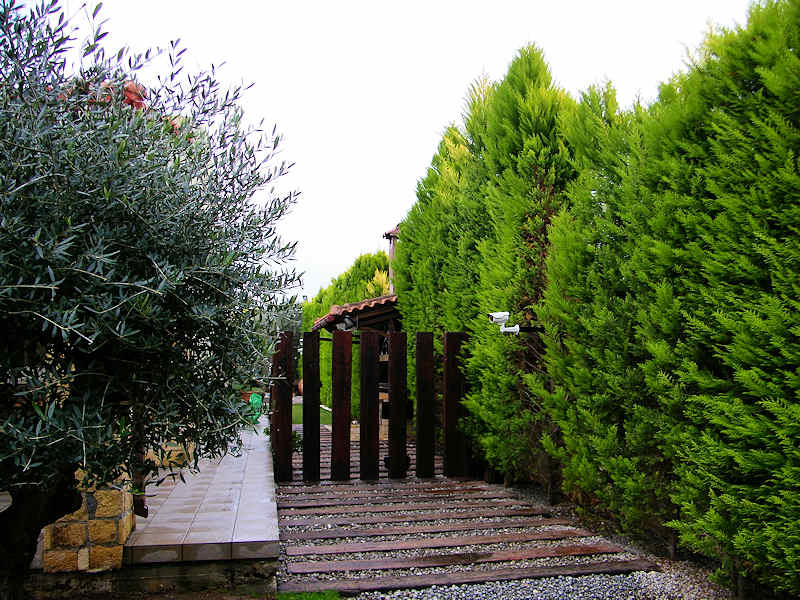 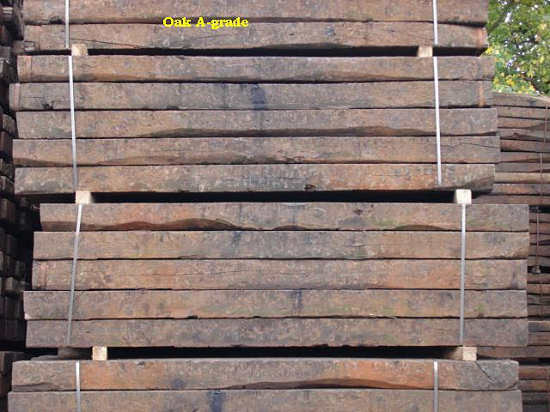 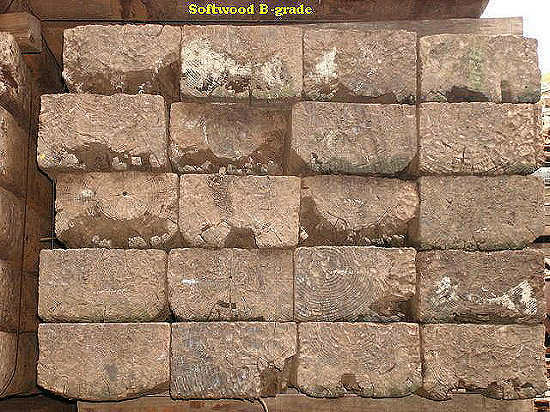 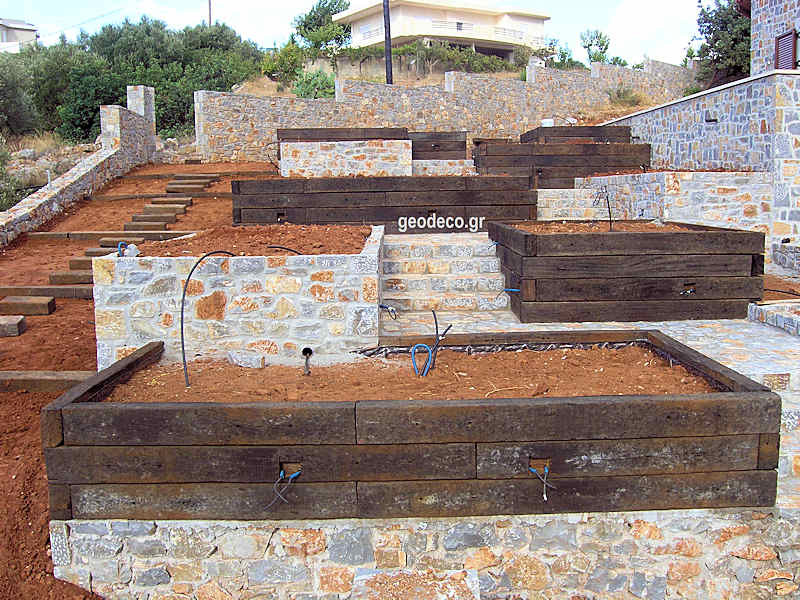 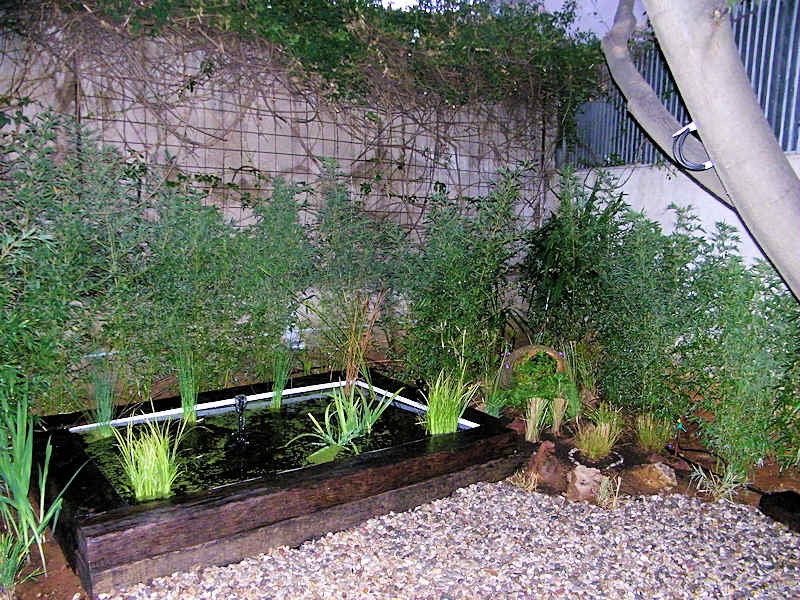 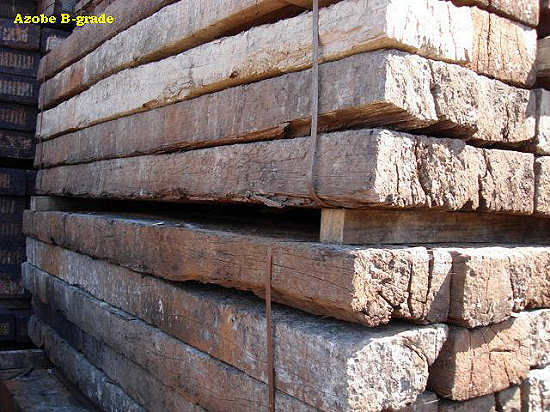 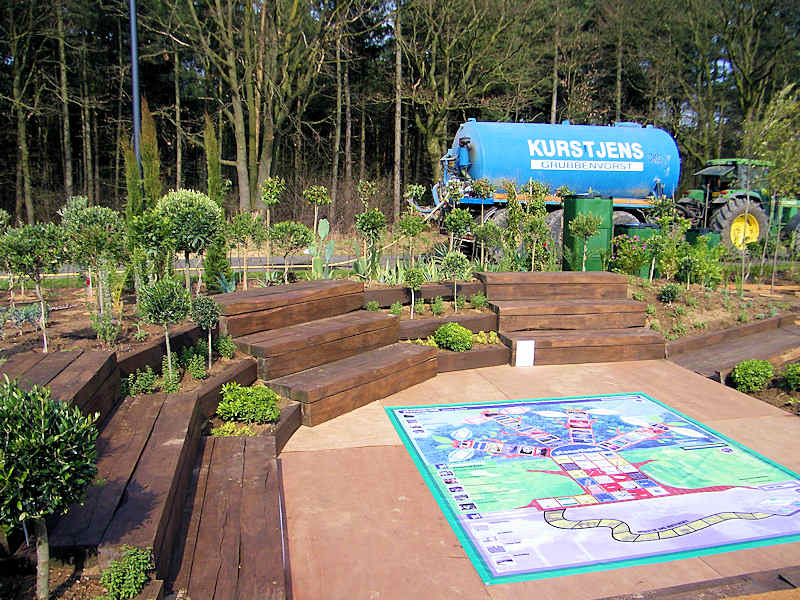 We can supply both new and reclaimed railway sleepers from different kind of wood and in 3 different qualities. 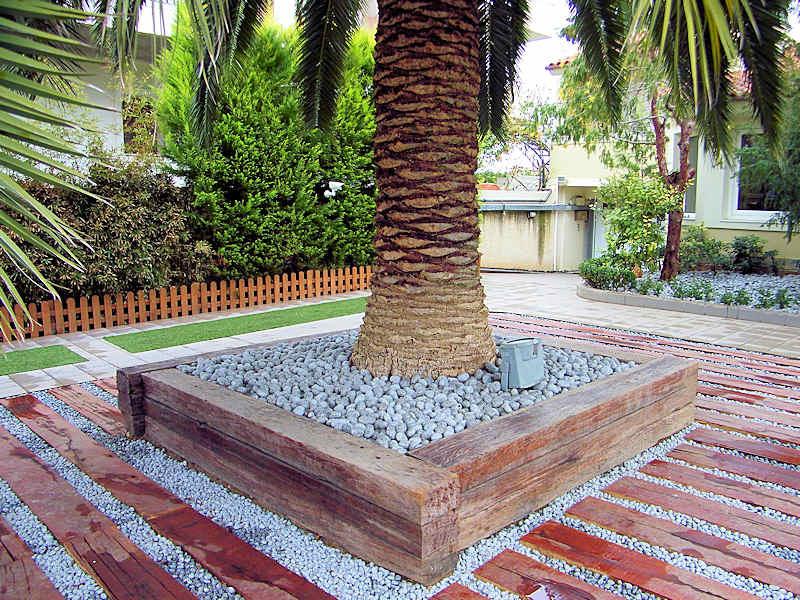 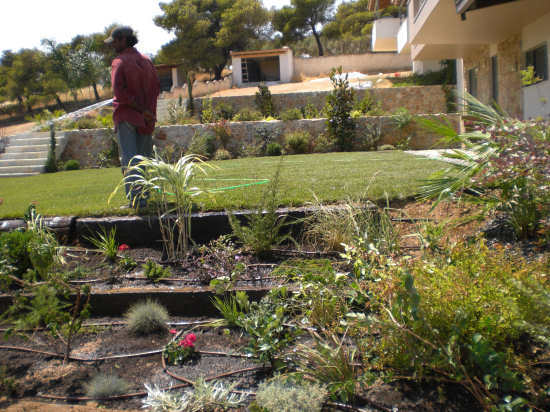 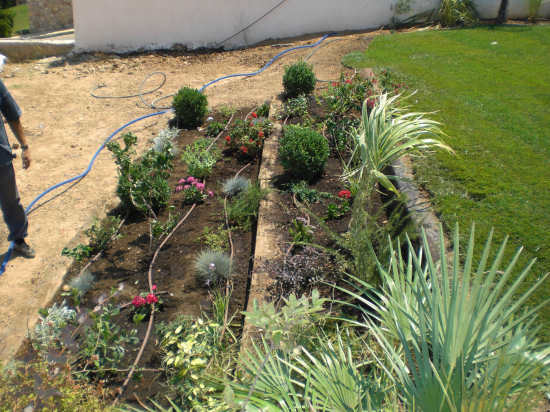 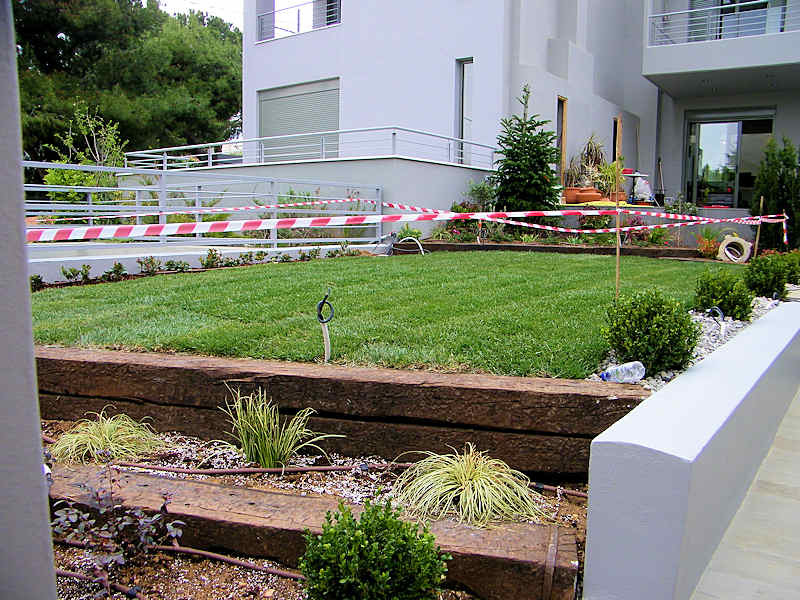 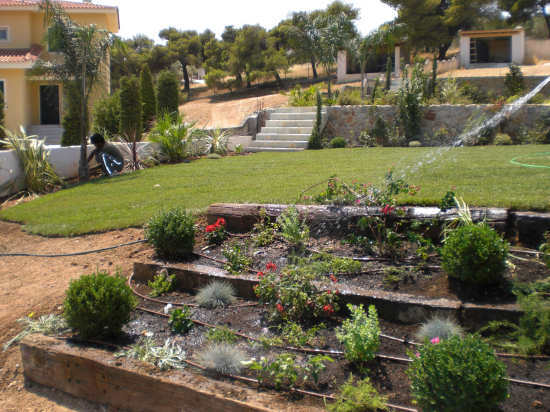 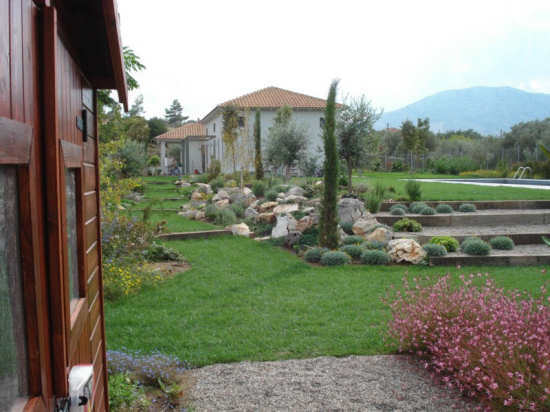 The old sleepers are perfect for outdoor use with natural beauty while the new ones can be used indoors. 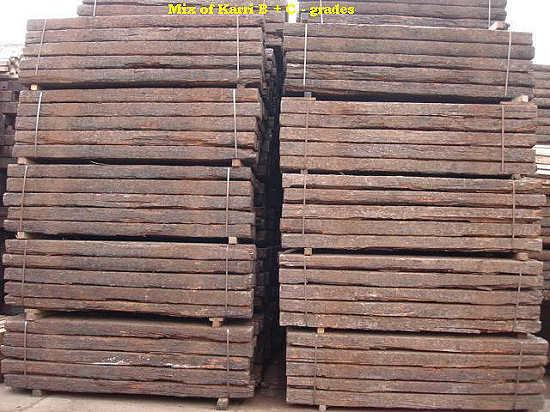 It’s a natural product solid, long-lasting and full of character. 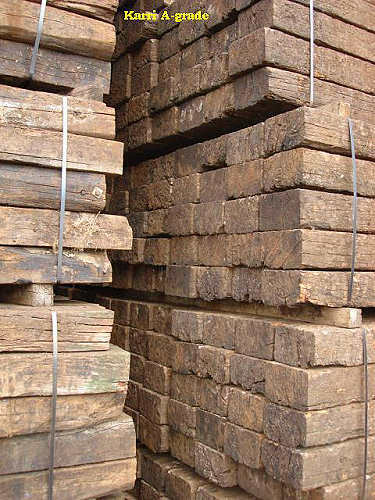 Sleepers from oak wood. 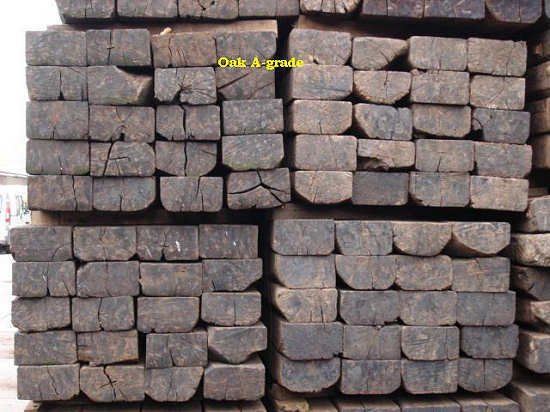 An oak is a tree or shrub in the genus Quercus in the family Fagaceace.Oak wood is used to produce from wine barrels till professional drums.It has a density of about 0.75 g/cm³, great strength and hardness, and is very resistant to insect and fungal attack because of its high tannin content. 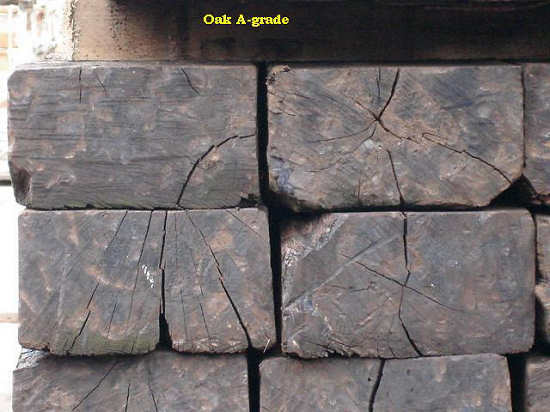 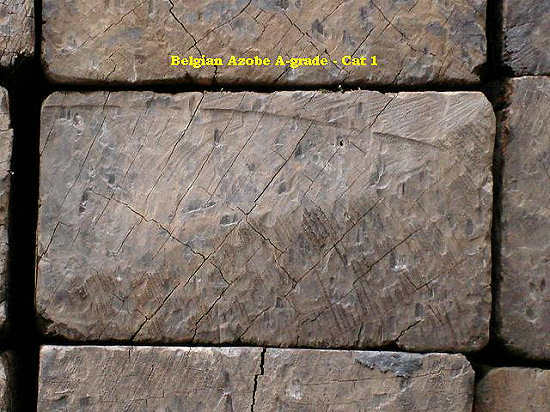 It also has very attractive grain markings, particularly when quartersawn. 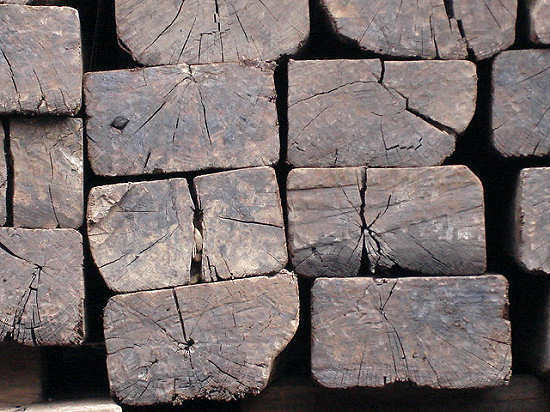 Sleepers made from Lophira alata (also called Azobe) a species of plant in the Ochnaceae family. 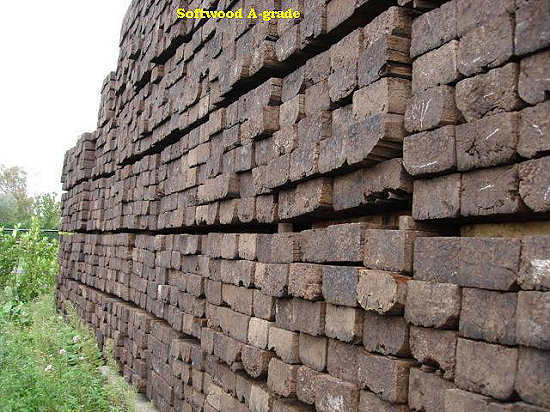 It is called red iron wood. 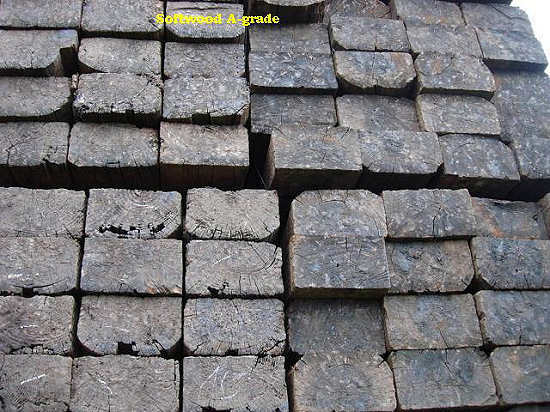 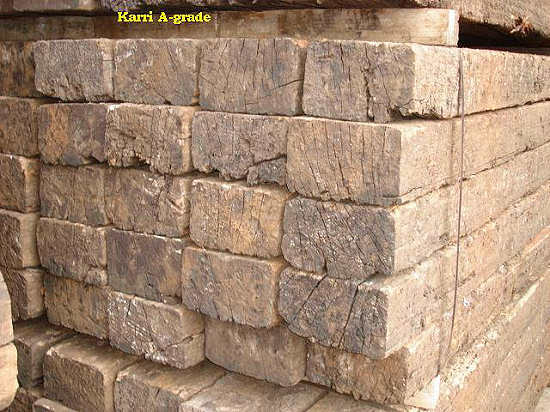 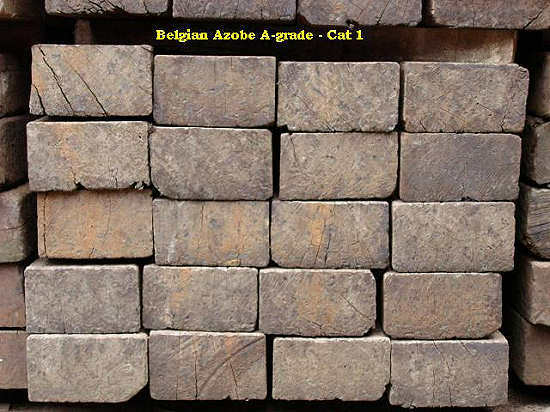 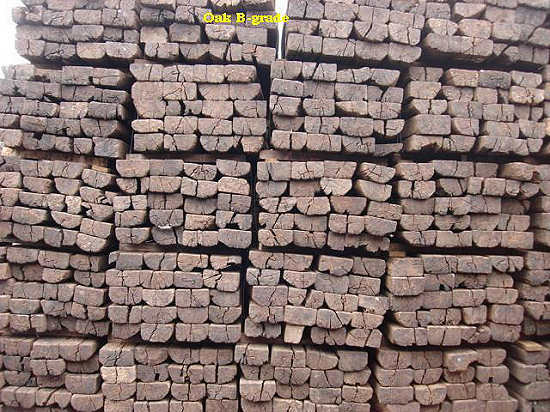 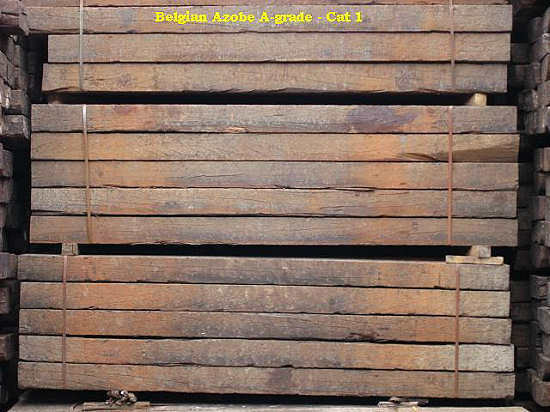 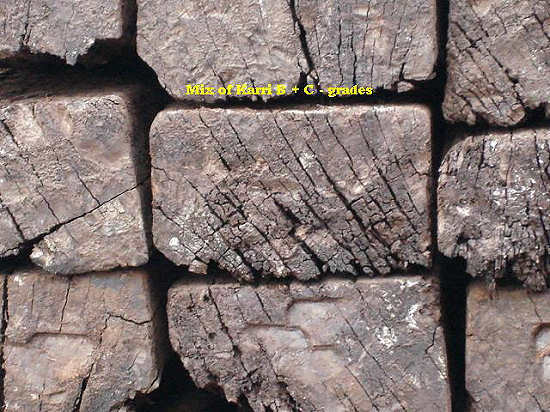 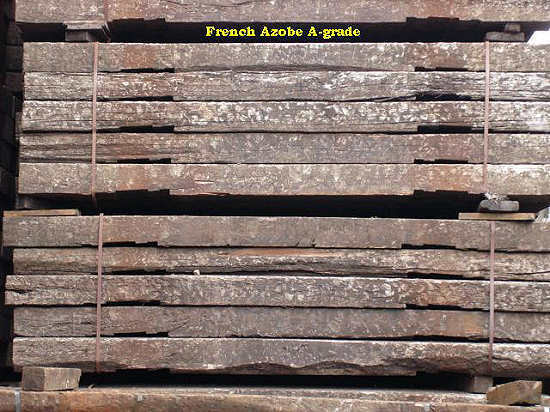 It is extremely hard and used for railway sleepers. 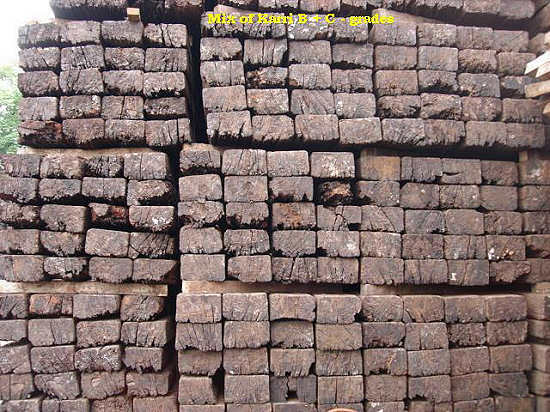 It is found in Cameroon, the Republic of the Congo, the Democratic Republic of the Congo, Ivory Coast, Equatorial Guinea, Gabon, Ghana, Liberia, Nigeria, Sierra Leone, Sudan, and Uganda. 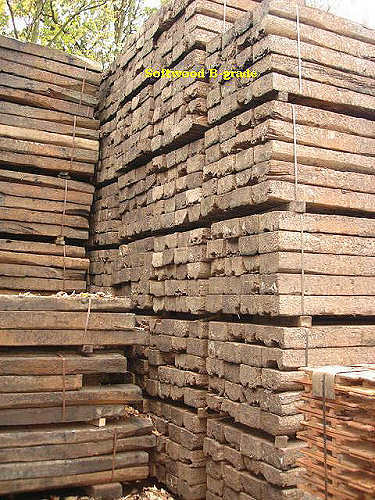 Sleepers made from softwood. 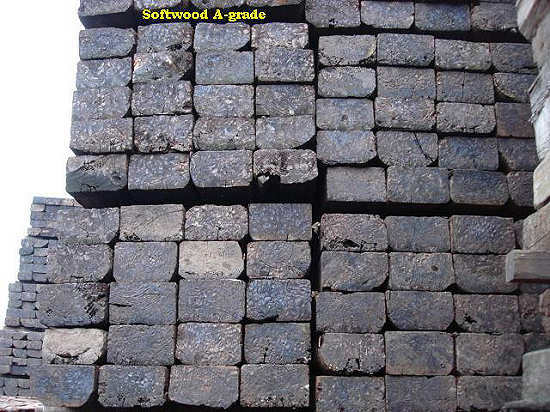 The term softwood is used to describe wood from conifers. 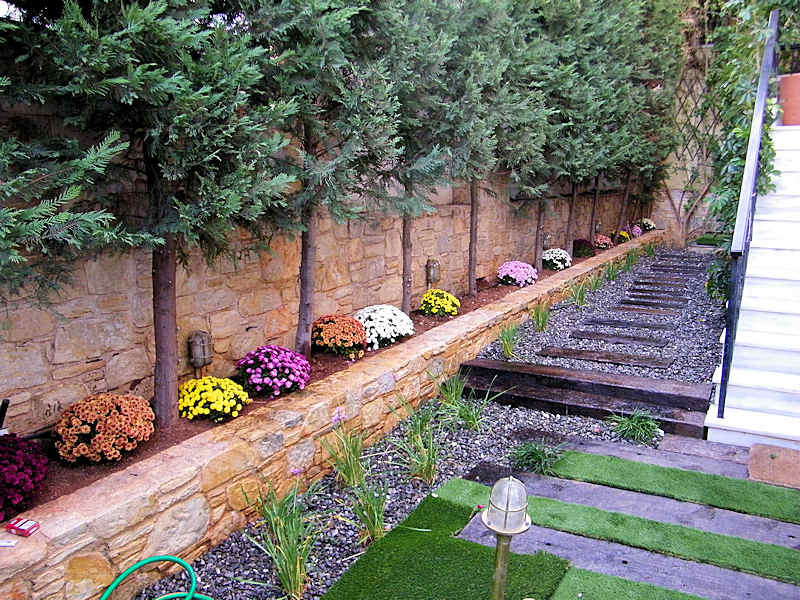 The best known conifer is genus Pine. 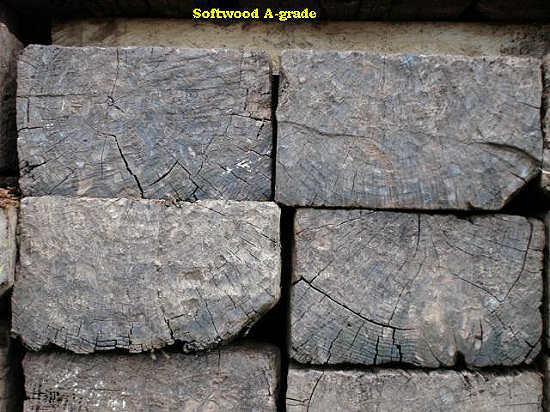 Softwood is the source of about 80% of the world's production of timber. 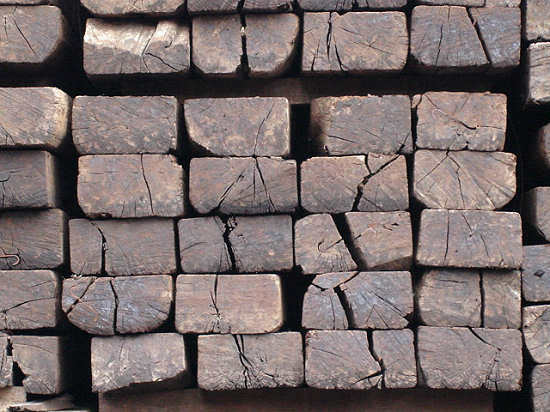 Sleepers made from Eucalyptus diversicolor which is native to the wetter regions of south west of Western Australia. 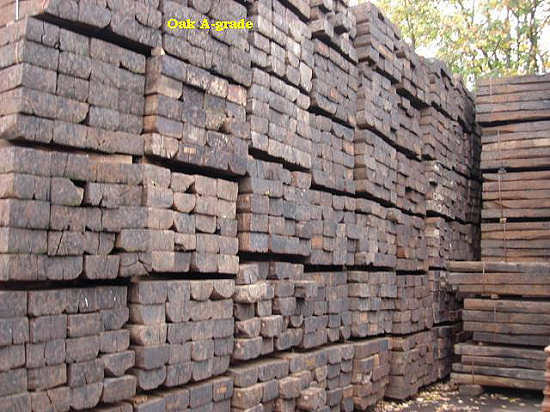 The tree grows to 90 metres, making it one of the tallest species in the world. 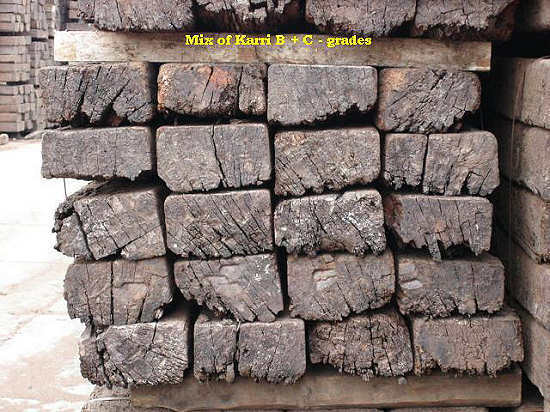 Karri wood is a beautiful mahogany color, wood. 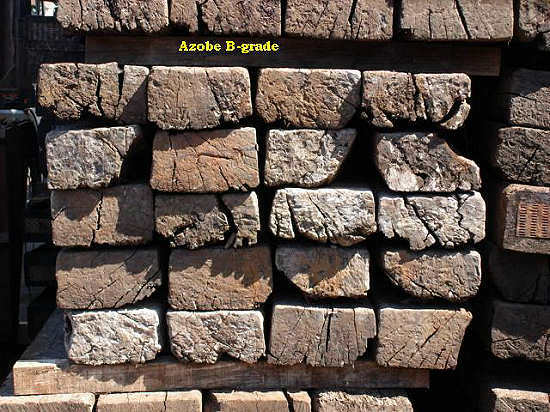 It is used extensively in the building industry, particularly in roofs due to the length and uninterrupted knot-free nature of the trunk.